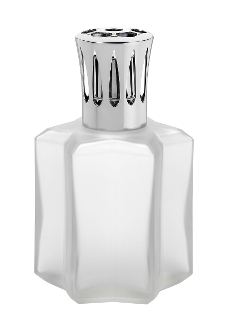 A two-piece gift set which includes the Capeline lamp & 6.08 oz. (180ml) of Orange Cinnamon fragrance. Newly designed shape with pronounced edges contributing to the brightness and glossiness of the lamp, two colors: Frosted White for a soft and cozy atmosphere and Golden Champagne for a spicy and warm touch. Lampe includes wick, snuffer cap, shiny vent cap, and instructions.